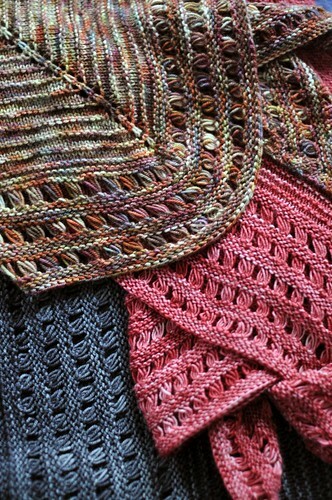 It looks like what I thought would happen when I uploaded the correct B-Side pattern to Ravlery, didn’t! So I’m emailing everyone who purchased the pattern through Ravelry the newest version. I’ll also add a note to the pattern page to make sure everyone knows that the pattern was updated. Sorry for all the confusion! Everyone should receive an email to their Paypal addresses with the updated pattern; if you don’t receive it within 24 hours please contact me. I got it too. Thanks. Hey Laura – Unfortunately I didn’t receive the update. Just thought I’d let you know. Thanks!! Hi, I love the cashmere sweater you are making on the dressform. I was wondering if you would be willing to post the directions on your site? I went and looked at the yoke directions and am not an experienced knitter to know how you divided it into a cardigan and finished it. Does this question make sense?